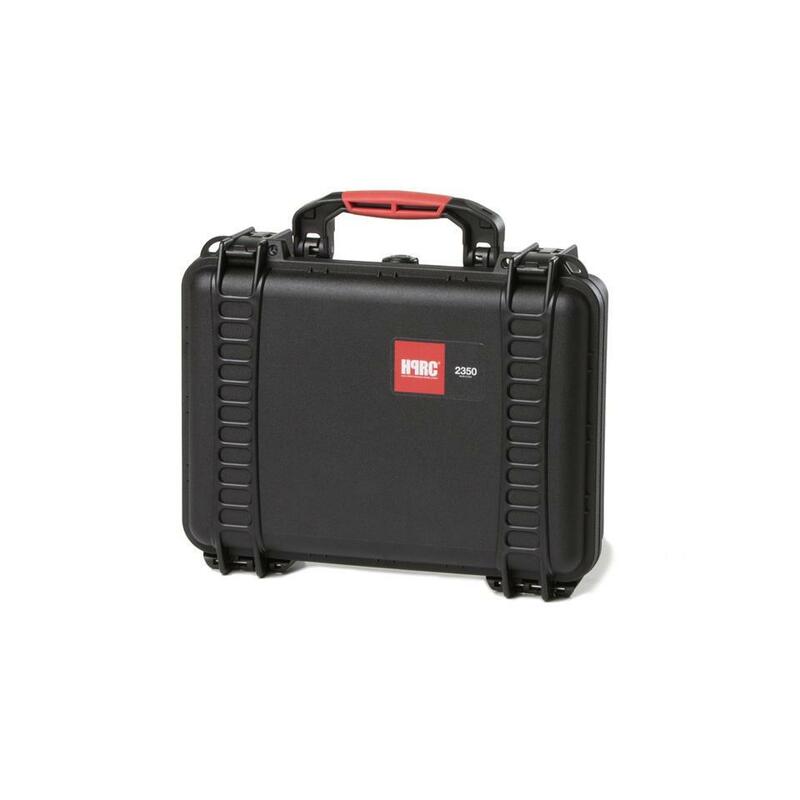 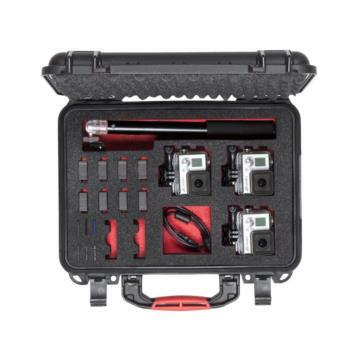 Safely store and transport your GoPro cameras and accessories while protecting them from the hard environments and weather with the GPR2350 hard case with bespoke foam interior. 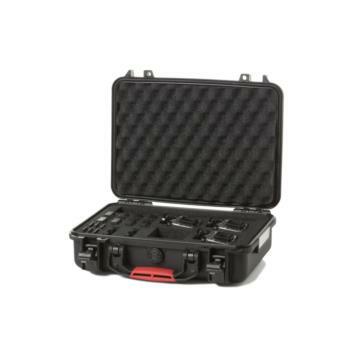 It features a hard, resin shell that is virtually unbreakable and interior rubber O-rings keep the case air and watertight. It comes with a comfortable, soft-grip handle for carrying and an air pressure release valve. up to three GoPro cameras with housing; 8 spare batteries; 2 LCDs; 6 SD memory cards; GoPro pole; various accessories. 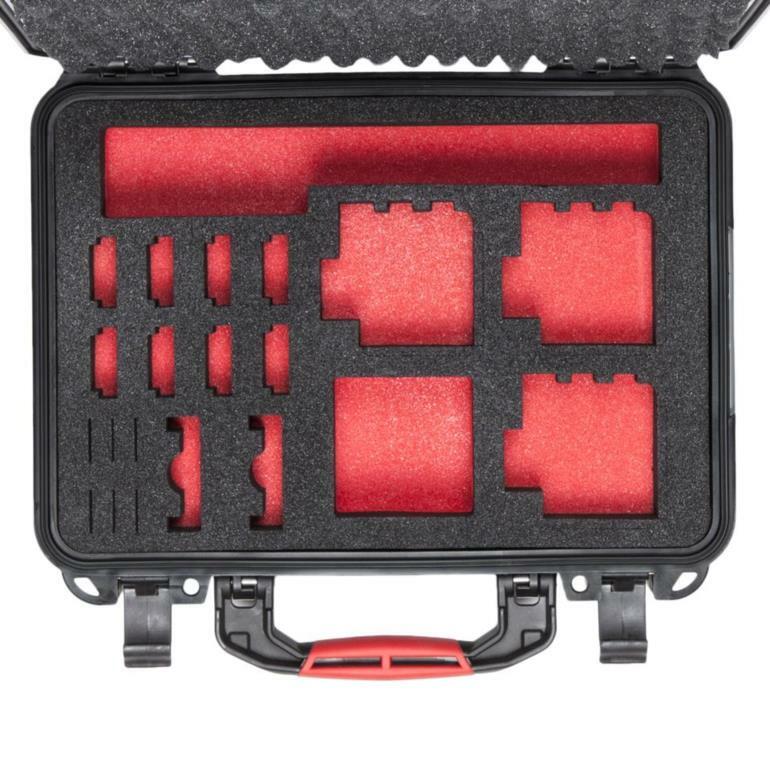 The modular nature of the interior means that after you've stopped using your GoPros you can repurpose this case by replacing the foam cutout with the HPRCCUB2350 foam.